Termite droppings: While termites remain within a system of mud or wood tunnels for the majority of their lives, they do have to remove their excretions from the colony. That’s why termites create small holes in their colony where they can push out droppings that they produce. You may notice a small pile of pellets that look like wood, and you may be able to see the hole in your wooden structure, resting above the pellet pile. Piles of shed wings: As we mentioned, termites tend to only leave the confines of their colony when they are splitting into a new colony. When this happens, certain termites will grow wings, they’ll locate a new colony, and a new queen will begin to produce offspring once the colony is established. You may be able to catch this event in action if you notice wings shed where the new colony is being formed. That’s a telltale sign that your home or building has just become a target for a new termite infestation, and you’ll have to exterminate that colony before any serious damage can be done. Mud tunnels: Unlike drywood termites which build their colonies directly in the wood of your home, subterranean termites utilize mud tunnels to get from the base of their colony (which is usually buried in the ground) to their wooden food source. Keep an eye out for mud tunnels which will look like dirt tubes that are about the same size as a pencil in thickness. Subterranean termites rely on these tunnels to retain moisture and a consistent temperature as they travel to and from the core of the colony to their food source and back. Hollow wood: If you’re concerned that termites have colonized in your home, and they’ve consumed a significant amount of wood throughout the structure of your home, then you may be able to notice that your wood sounds hollow when you give it a knock. That’s a telltale sign that termites have caused significant damage, and you should act right away. 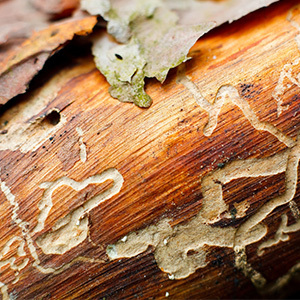 Discolored wood: Your wood may become discolored if termites have made your home their own. If a termite builds a tunnel along the edge of your home’s wood, it may be translucent or it may eventually mold, which will turn the wood a darker color. Again, act right away if you notice this sign. Sagging floors, visibly damaged wood: In the most severe cases, you may notice that your home’s wood is no longer structurally sound. In these instances, the floor joists of your home may sag, and other wood members may be brittle or decayed. You may need to rebuild your home as well as treat for termites. A stitch in time saves nine! Termite inspections are a wise option because preventative measures can save you from an expensive headache in the future. If termites go unnoticed, you could end up with significant damage that will cost you thousands to repair. In addition, you may have to have your home fumigated to get rid of these pests, which means that you’ll have to pack up and head to a hotel for a few days. Instead, you can simply schedule an inspection every year or so to ensure that termites don’t colonize within your home. And if they do, an inspection will improve your odds that these termites are discovered and exterminated before there is any extensive damage to the structure of your abode. Alongside termite inspections, a termite control specialist can take precautions to protect your home. We offer protective plans that are designed to keep termites from ever setting foot on your property. We can treat the ground surrounding your home to stave off subterranean termites, and we can treat the wood inside of your home to keep drywood termites away. 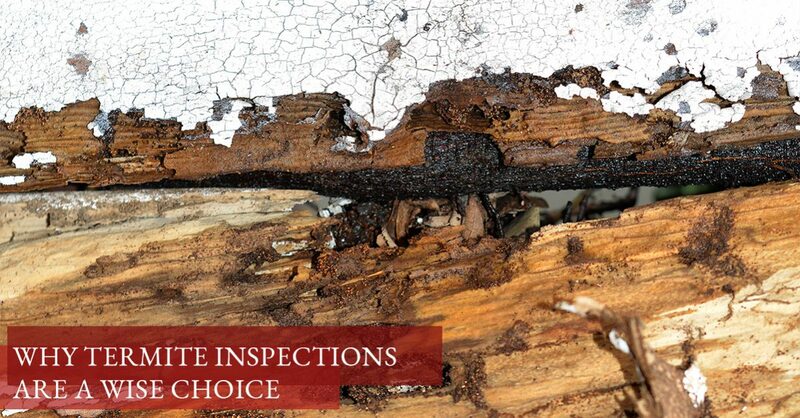 With regular inspections and a precautionary plan, you can rest assured that your home will remain safe from termites. If you own or manage a rental property, then a termite infestation can be doubly costly: You’ll have to pay to exterminate the termites, and you’ll lose revenue since your tenants will have to vacate the premises during a treatment. With regular inspections, it’s less likely that an infestation will occur, and these infestations may be treated locally and quickly, so you don’t have to inconvenience the residents of the property that you oversee. 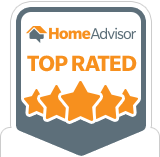 Beyond losing money to lost rent and an expensive termite treatment, you could be facing bad reviews and bad press if your rental property becomes infested. That could have a lasting impact on tenant turnover, and it could end up costing you tens of thousands of dollars in the long run. So, instead of getting a bad reputation, you can simply hire an inspector to make sure that unwelcome termites don’t deter welcome tenants. If you live here in Phoenix, Scottsdale, Cave Creek, Gilbert, Mesa, or Peoria, then Arizona Termite Specialist is your trusted, local source for termite inspections, control, and treatments. 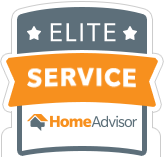 Schedule an inspection today!